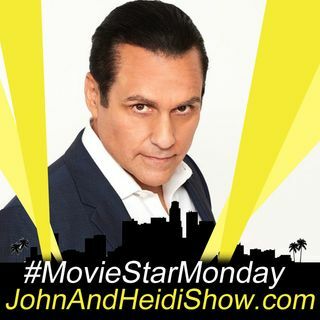 John & Heidi share funny stories of people doing weird things... plus we continue our new segment #MovieStarMonday as John chats with Daytime Emmy Award winning Actor Maurice Benard. General Hospital's Sonny Corinthos since 1993. Before that he was on the ABC drama All My Children as Nico Kelly. Now he portrays John Gotti in the new Lifetime movie Victoria Gotti: My Father's Daughter, based on Victoria Gotti’s book This Family of Mine: What It Was Like Growing Up Gotti.